Why I chose this book: One of my favorite types of books to read is epistolary novels. I am a girl that is all about letters, especially love letters. So when this book began to pop up on several book blogging radars, I knew I had to pick it up. Oddly enough, I wrote my own grandfather’s eulogy while reading this book, so I related with the book on a whole other level. 1. Epistolary Novel. This is a story told in letters. While I hear many a complaint about this, I really enjoyed this format and felt that it did the story justice. Sometimes you can’t sort out feelings and emotions until you tell them to another person. The character of Laurel understands this as she writes letters to dead icons throughout history. Sometimes their stories give Laurel insight, and sometimes they are simply there to listen. Either way, Laurel discovers insights about her feelings, and about life around her. After all, high school is never easy. 2. All aboard the FEELS train! I had an idea about how this book would end, but I did not expect the pain and emotion that would come with it. Ugh. Dellaira definitely knows how to make you feel ALL THE THINGS. I found myself wanting to hold Laurel and protect her from life’s cruelties; something that I often feel when looking back at my own teen years. 3. A place for the lovers of music, poetry, and culture. Dellaira writes so beautifully as she intertwines snippets of reality into Laurel’s world. While still giving vivid and beautiful descriptions about life, love, and everything in-between, she carefully sculpts the voice of a questioning teen. Laurel’s voice is authentic as it is original. While still maintaining the form of a vulnerable and broken girl, you see all the potential that Laurel has. It is equal parts lovely and heartbreaking. I really enjoyed this book. While it may have been due to where I was in my life, I still believe that this is a beautifully written novel. Love letters are totally capable of telling a story, and Ava Dellaira proves this over and over again. I gave this book four stars on Goodreads. 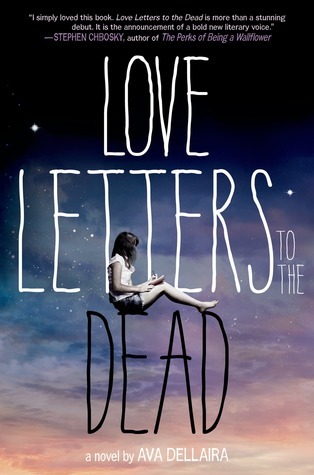 I have to admit that I haven't read many epistolary novels, but I've heard so much about Love Letters to the Dead that that's not going to put me off! And I totally get what you mean about letters being an easier way to express yourself. When I was going through a tough phase, I wrote my journal entries in letter form, and it really helped. So I guess I'd be able to connect to Laurel in that way! Now I'm curious about this ending! I'm all for unexpected endings (even cliffhangers, haha), but I just hope this isn't a tragic one. Tragic ones just make me question the author's sanity while I curl up into a ball and sob my heart out... (*cough* TFiOS) And I love that you felt so deeply for the main character as well. Most of the time the thing I find most lacking in contemporaries is a deeper connection with the character, especially the protag. Glad this wasn't the case here! Beautiful review, Addison! I wasn't all that interested in this book before (it sounded like a fluff read, honestly >.<), but now I definitely am. Hopefully I'll get the chance to check this out soon! I won't lie, it isn't as sad as TFiOS, but it does bring out some feels. Thank you for the sweet comment! I really enjoy your blog.